I purchased a Ford F 150 2 weeks ago. Real nice Truck. I found Tiffany and Jason very easy to deal with and good people to do business with. Jason is fair and honest. 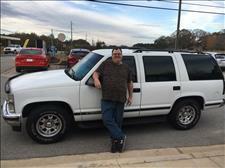 He has nice vehicles at fair prices...I will be back to purchase a used vehicle for my wife next year. 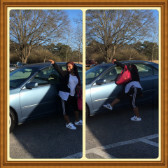 Just purchase a 1st car for our daughter. Couldn't be happier with the service. I would refer anyone to see Jason. Jason is the best! 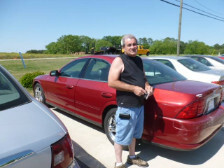 I have purchased 4 trucks from him, I tell all my friends who are looking at buying a used car or truck to go see him. He only has quality vehicles, there is no junk on the lot. He and his staff are great people. Thanks Jason! Last month i had a hard time searching for a vehicle. I came across the website and tried them out. Upon approaching the lot i saw the cutest black jeep Cherokee with black wheels that caught my eye. When arrived Tiffany & Jason made me feel very welcomed. They are the sweetest & kindest . made me feel very comfortable. I have had a good experience with these guys. If i have a problem or question they are always very helpful and are very concerned. I really am glad that i purchased my truck here. This is my second vehicle. I love dealing with Jason and Tiffany they treat you like family not just a customer. 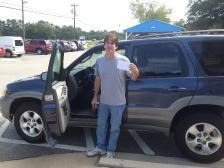 Jason gave me second chance on a good used car,car is great! good customer service, highly recommend the staff at dealerguy.com! 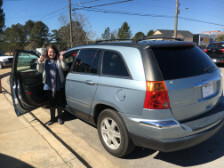 We LOVE our Durango! and Dealerguy.com, Inc. Great way to buy a car! Highly reccommend! We have now purchased 3 cars from the dealer guy it was easy, his staff is very professional! Got us the cars we wanted and could afford it's been a pleasure doing business with the dealerguy!!!! We had a great experience - very helpful and patient. Would definitely recommend The DealerGuy. 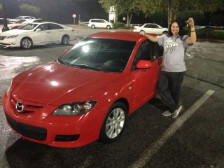 :) They made buying my daughter's first car an enjoyable experience for her and for me. 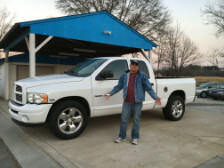 I was looking for a good used truck and had been to pretty much most of all of the dealers in and around McDonough, Stockbridge, and Jonesboro and had not found what I considered to be a good buy (decent vehicle for a decent price). 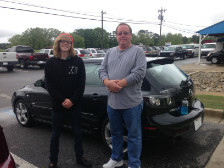 My son and I were on our way to Covington to look at a vehicle we'd seen online when we passed Dealerguy. Once we'd stopped we knew we were in the right place. 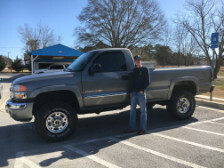 There were several good used trucks on the lot and all were priced in accordance with the condition and age of the vehicle. We test drove the vehicles of interest and narrowed our search to three trucks we thought would meet our criteria and budget. After some discussion we picked a Ford F-150. I wasn't looking for a brand new truck, and knew that any used truck could have some issues. 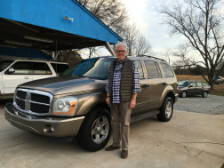 Jason was straight with us as to what he knew about each of the vehicles and was sincere in his desire to help us determine which truck best met my needs and would provide the best service. I never felt the urgency to "make the sale" I experienced at many of the places I had been. I highly recommend you stop by and check out what Dealerguy has to offer the next time you are in the market for a good dependable used car. I can assure you that you will find an honest dealer wanting to help you find the vehicle you want. 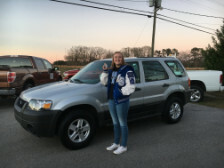 Best used car lot around! Jason and Tiffany are awesome! Helped me out a lot and led me in the right direction to buying my GMC pickup! Will work with anybody in any situation. Five stars all day, if you're looking for a good used car this is the place to go. Will definitely be back in the future for another vehicle. I absolutely love this place. From the time I walked in and the time I walked out with a car. Jason took great care of me even helped me get low rate full coverage insurance at the age of 22. I would recommend this place and have recommended this place to all of my family and friends. If I ever but another car it would be from dealer guy. Thank you guys so much. My experience with Jason and his staff was a no brainer. They were very concerned about your needs and made sure that when you left the car lot that you were a very satisfied customer. I would highly recommend the dealer guy to anyone who was looking for good customer service. My experience with Dealer Guy has been great. Fantastic people and quality vehicles. Customer service is outstanding. 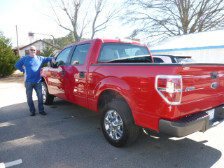 I bought a 2003 Ford F-150 and financed through Dealer Guy. They gave me a good interest rate and the truck has been outstanding. I highly recommend Dealer Guy for purchasing a high quality used vehicle. Thanks Dealer Guy! 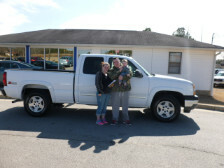 Jason really took care of me and my needs when i purchased my 2004 Chevy 2500. He overlooked the fact that i was self employed at the time and allowed me to purchase my truck through in house financing. Some people think that this in house financing is overpriced but Jason at dealer guy really takes care of you. He is a family man and has some really good family values that stand out above the rest. I highly recommend Dealer Guy for your next vehicle purchase. I purchased a truck at Dealerguy last spring. It was a pleasant experience. 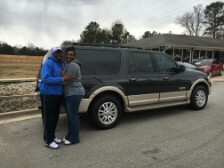 Jason and his team provided excellent customer service along with a quality vehicle that fits my needs and budget. We bought a truck today from Jason, The Dealer Guy. This was the easiest and best car buying experience we have ever had and they are such nice, down to earth good folks. We will recommend them to everyone. Go see them!! You won't be sorry. I have bought many cars and trucks over the years and dealt with a lot of car salesmen. Jason is one of the very few that I would recommend to anyone. He and his staff were very courteous, honest and straight forward. It was a pleasure doing business with him. He gave me a good price on a vehicle that I am very pleased with. He and his staff made the whole transaction an effortless experience. 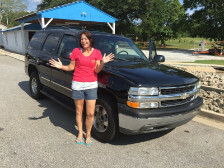 So far I am very happy with my purchase of my Chevy Tahoe. But what I was most impressed with was with Jason & the way he does business. Stand up guy. Wouldn't put you in something he wouldn't put his own family in. He Cares! Thanks again! Great customer service! Would recommend to all my friends. Jason and Tiffany were great to deal with? Thanks to all! My experience in purchasing a car at the dealerguy was a pleasure. Everything went smooth from beginning to end. Very nice staff that makes sure all accommodations are met. We are looking to purchase another vehicle there in just a few months. Thanks guys for looking out for our best interest. My car went down on me and this weekend, I was headed to some local buy here / pay here dealers that didn't have the best reputation, for dealing with their customers. On the way, I stopped buy dealerguy.com With a limited down payment and some credit issues. Jason took the time to listen to what I needed and in less than an hour, I was driving away in a Jeep Grand Cherokee Limited Edition. The best thing is the payments are reasonable and I will have the car paid of in a year and a half. Not like those other car guys that bury in a car that you will never pay off. I recommend dealerguy.com to everyone I know and meet! Thanks, Jason!!! Awesome place to buy a vehicle. Jason is very professional and honest. Would highly recommend. My husband and I recently purchased a truck from this location. Jason was so nice and Ms Debbie was so incredibly helpful! We couldn't be happier with our buying experience! An awesome place to buy a car and Jason is a great guy who you can trust. 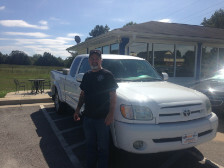 I've purchased several cars and trucks from him and couldn't ask for a better experience.